“After completing B.A.L., LL.B, enrolled as Advocate in the Bar Council of Karnataka in 1999 and joined the Chambers of M/s P. H. Mohammed Associates. Set up independent practice form 2001. Handled Civil and Criminal cases including Partition Suits, Money recovery Suits, Declaration Suits, Injunction Suits, Family matters, Consumer cases and Criminal Cases under IPC and other Penal Laws. Well versed in Drafting and Conveyancing. Completed LL.M in Constitutional laws and M.Phil in Law. Served as guest lecturer in Law at KLE Society’s Law College, Bangalore from 2004 to 2006. Joined CMR Law School as full time Faculty in January 2006. 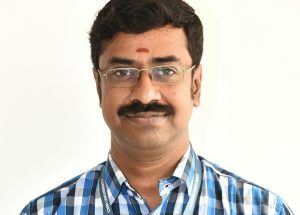 Promoted as Vice-Principal W.e.f. July 2007.